ABOVE: Few creatures are as beautiful as the blue morpho butterfly. There are 30 species and this one is Morpho menelaus. The Gordon and Betty Moore Foundation has been an instrumental partner in the creation and management of 5.5 million acres of protected areas in the Peruvian Amazon. 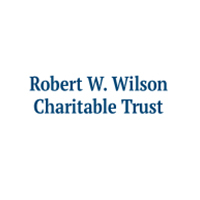 The Robert Wilson Charitable Trust has matched our in-country counterpart's funding since 2006 to conserve the Amazon rainforests of Peru. The Overbrook Foundation has been supporting our watershed and reserve programs in Ecuador since 2002. The Andes Amazon Fund has partnered with NCI to establish and effectively manage over one million acres of protected areas in the Amazon Basin of Peru. 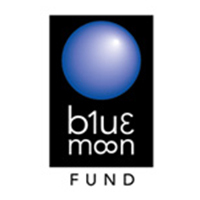 Beginning in 2007, Blue Moon Fund supported our work in Loreto and Ucayali, Peru in the creation of regional protected areas such as the one million acre Maijuna-Kichwa Reserve. 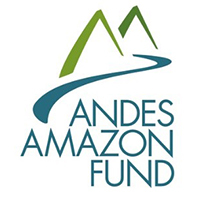 They are now part of the Andes Amazon Fund. The Tinker Foundation supports our watershed programs in Ecuador. The Foundation has helped us protect more than 200,000 acres of tropical Andes and the water supply for one million people. In 2016, the Foundation awarded NCI a grant to expand our watershed program and launch Ecuador's first water school. World Land Trust is a critical funder in land purchases that have been necessary in Ecuador, and most recently Peru, to link vital conservation lands of the tropical Andes and Amazon forests. The Stiefel Behner Charitable Fund has generously supported our ongoing work in Ecuador as well as our expansion into Bolivia and Colombia. The Moxie Foundation's support has been integral to our expansion throughout Ecuador's Andean corridor - a global biodiversity hotspot - where we have protected nearly 350,000 acres of tropical forests and water resources to date. 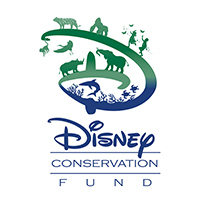 The San Diego Foundation has been an important conduit for providing individual donor support to us since 2008. The Jewish Community Foundation has been an important conduit for providing individual donor support to us since 2006. 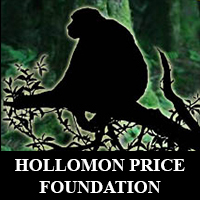 After supporting NCI's work in the Chocó region of Ecuador in 2014, the Hollomon Price Foundation stepped up in 2015 to support of our expansion into Colombia and Bolivia as well as our programs in Ecuador and Peru. The Turtle Conservancy is funding our work in Sonora, Mexico to conserve the tropical deciduous forest home to many unique species, including a new species of desert tortoise. The Paul M. Angell Foundation is supporting our work to establish and manage the Tropical Pacific Seas Reserve, the first marine protected area off the coast of northwest Peru. The Foundation has been instrumental in organizing local fishermen to protect their waters and the local fish stock for the country. Disney Conservation Fund supported our work in Alamos, Mexico in 2014 with a grant to implement a camera trap system within our Monte Mojino Reserve to track jaguars and other important species. Earth’s Birthday has supported our work in Amazonas, Peru since 2011 where we work to protect critical Amazon forests and the highly endemic Marañon watershed. Foundation Ensemble is supporting NCI-Amazonas through a three year grant to increase and improve local communities’ production of shade-grown organic coffee to protect the forests of the Amazon and Maranon Valley of Peru.